We are very excited about the new tags. 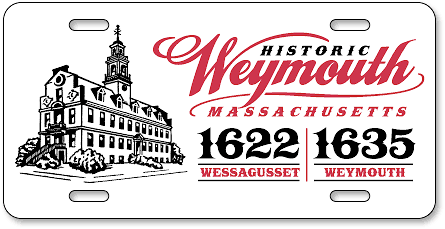 The town of Weymouth is sponsoring a “Weymouth Day” and we will be revealing the tags for sale. I did a press release to announce the coming of new Weymouth license plates. I have already received many requests. Once again, thanks for a great design and your promptness. I would have nothing but the highest recommendation for you.